Like me, Jamey really likes sweets. And desserts. And stuff with sugar in general. What’s weird to me, though, is that he prefers sugary, fruity things over anything else. I on the other hand would probably eat my fingers if they were covered in chocolate, since chocolate is all I really need in life. Claire: What do you think of angel food cake? 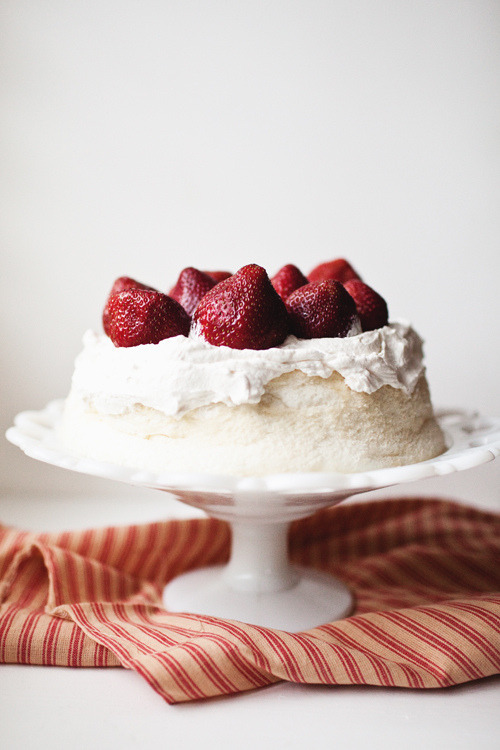 Claire: What would you think of angel food cake if it looked like this and was on our gorgeous registry cake stand? Angel food. With strawberries. On a cake stand. Simple, really. As you can see, I have a lifetime conflict ahead of me.